Prepaid debit cards are a great alternative to traditional bank accounts. Many offer the same features as a checking account – online bill pay, mobile check deposit and direct deposit – without the overdraft fees. All the prepaid debit cards on our list come with great features and perks, some even allow you to create sub-accounts with their own prepaid cards. The key is to pay attention to the fees, so you can choose the best prepaid debit card that will minimize the number of fees you pay. 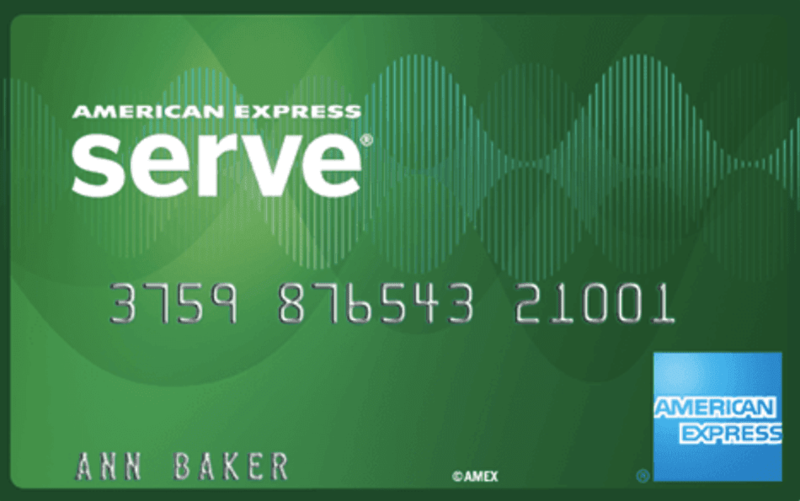 Here’s another version of the American Express Serve. This one charges no reload fees, which is a perk if you need to do multiple cash reloads in a single month. The reload network has over 45,000 locations and includes CVS Pharmacy, Dollar General, Family Dollar, Rite Aid, Walmart, 7-Eleven and more. There’s also no fee to add money from a bank account. If you plan to spend more than $600 each month on your prepaid card, the American Express Serve Cash Back should be in your wallet. You’ll earn unlimited one percent cash back rewards each time you shop with your prepaid card, and after $595 in spending, you’ll break even on the monthly fee of $5.95. Your cash rewards are added to your card right after you spend and you can redeem rewards at any time. Enjoy early direct deposits for no additional fee, free in-network ATM withdrawals, fraud protection and 90-day purchase protection on purchases up to $1,000. The cash reload fee varies by retailer and is up to $3.95. Get paid up to two days faster with direct deposit and receive an alert when your money is available. You can also load money onto your account using mobile check deposit, reload at over 130,000 locations or receive money from friends and family who have Netspend cards. Download the free Mobile App to easily manage your Netspend account, earn cash back on your purchases based on your spending habits and get a bonus added to your balance when a friend signs up for a Netspend card. The Netspend Prepaid card also comes with a few great security features. You can create a temporary card number to use for online transactions. That way, your real card number won’t be exposed in a data breach or hack. Your funds may also be protected from fraudulent purchases if you notify Netspend right away. You can choose from three plans that have varying fee structures depending on your deposit habits. The Pay-As-You-Go is the default plan, which charges no monthly fee, but $1 for each signature transaction and $2 for each PIN transaction. The Premier Fee Advantage Plan is the best value if you have a direct deposit of $500 or more. You’ll pay $5 per month and transactions are included in the plan. The Chase Liquid prepaid debit card charges minimal fees and funds are FDIC insured up to the maximum amount allowed by law, but the card is only available in the 23 states with Chase Bank branches. There’s no fee to open the account, but you have to go inside a Chase branch to do so. You’ll also avoid most transaction fees by using a Chase ATM to load funds onto your card or to withdraw cash from your account. However, a $2.50 fee is charged when you use a non-Chase ATM for withdrawals. There’s a $4.95 monthly fee, but no inactivity fees and free card replacement for lost or stolen cards. The monthly fee can be waived by linking your card to a qualifying Chase checking account. Akimbo lets you create a separate prepaid card for each of your budget goals and you can manage each card from within the Akimbo app. The first sub-account card is free and each one after that is $4.95 (one-time only). You can schedule weekly autoloads for recurring expenses. You can also disable and enable cards at any time from within the app, as well as receive text updates after each transaction. There’s no enrollment or monthly fee. Moreover, there's no transaction fee for signature purchases, but you’ll pay $.99 for each PIN purchase transaction. ATM cash withdrawals are charged $1.98 for each transaction and ATM balance inquiries are charged $.33 each. If your account is dormant for 12 months, you’ll pay a $5.95 dormancy fee beginning in the 13th month. With the Walmart MoneyCard Visa Card, Walmart shoppers can enjoy three percent cash back on purchases at Walmart.com and one percent cash back on Walmart stores, plus two percent cash back on purchases at Murphy USA and Walmart Fuel stations. Cash back is capped at $75 in rewards per year. The card comes with free direct deposit, mobile check deposit, as well as online bill pay. The $5 monthly fee is waived as long as you load $1,000 or more to your card in the previous month. Reload fees are up to $4.95 depending on the reload method and location. ATM withdrawals are charged $2.50 per transaction and ATM balance inquiries are $0.50 per transaction. Teaching kids to manage money can be tough in the age of debit and credit cards. FamZoo makes it easy for parents to teach kids how to manage electronic money with far less risk of fees than with a traditional checking account. With the FamZoo prepaid card, you can create parent and child roles with cards that limit access and functionality. You can transfer money between cards and even create automatic recurring transfers from one card to another, say for a weekly or monthly allowance. There’s a feature to tie chores and jobs to rewards or penalties and parents can even lock and unlock cards for fraud protection or to control card access. A paid FamZoo subscription allows you to order and use up to four FamZoo prepaid cards as long as your subscription is active. You can order additional cards for a one-time fee of $2 each. The monthly subscription is $5.99 per family. There are no reload fees for direct deposit. FamZoo doesn’t charge reload fees for cash reloads, but some providers may charge a fee. Transfers between cards are free and instant. Pay no fees on purchases or with in-network ATM withdrawals.